Post Office Square has sold for $67 million to a private investor. Colonial First State Retail Property Trust Group (CFX), Simon Rooney of JLL has exclusively negotiated the unconditional sale of Post Office Square in Brisbane’s CBD. 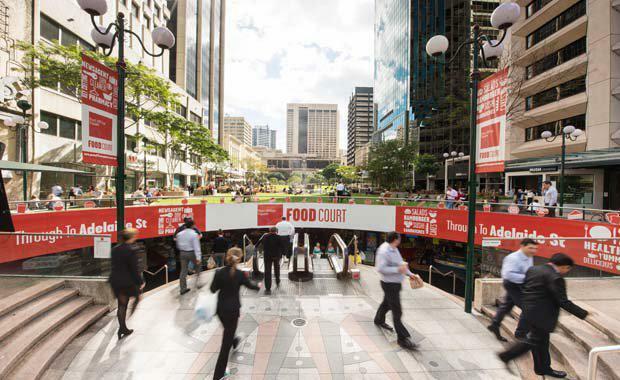 Simon Rooney, JLL’s Head of Retail Investments Australia said Post Office Square is a lower-ground level retail food court and six-level basement car park development, centrally positioned within the Brisbane CBD with entrances from Adelaide and Queen Streets. The highly secure CBD shopping centre benefits from the six-level basement car park, being one of the busiest and best-performing car parks within the Brisbane CBD. Importantly the car park accounts for close to 50 per cent of total gross income, and generates a high level of foot traffic through the centre. The sale of Post Office Square for AUD $67 million follows the sale of Birkenhead Point Outlet Centre for AUD $310 million in early October and the recapitalisation of the Lend Lease Real Estate Partners 3 Fund in September, with approximately AUD $4.3 billion worth of shopping centres having transacted Australia-wide during 2014 year-to-date. The Brisbane CBD has entered into the next phase of revitalisation, with development-led opportunities helping to invigorate the CBD retail market. The redevelopment of Wintergarden, which completed in 2012, was the last major project to complete. A full refurbishment of Broadway on the Mall is currently under construction and is expected to complete in 2015. ISPT is also undertaking a refurbishment of 155 Queen Street, located next to Wintergarden, and Colonial has plans to redevelop the Myer Centre. The refurbishment and rebranding of the Lennons Hotel, now NEXT Hotel was completed in early October and houses Australia’s first Forever 21 store which opened in Brisbane yesterday. "We continue to see very high levels of investment activity in the retail market. Queensland has been one of the most active retail markets over the past two and half years, with over AUD $3.8 billion transacting since the start of 2012,” Mr Rooney said.